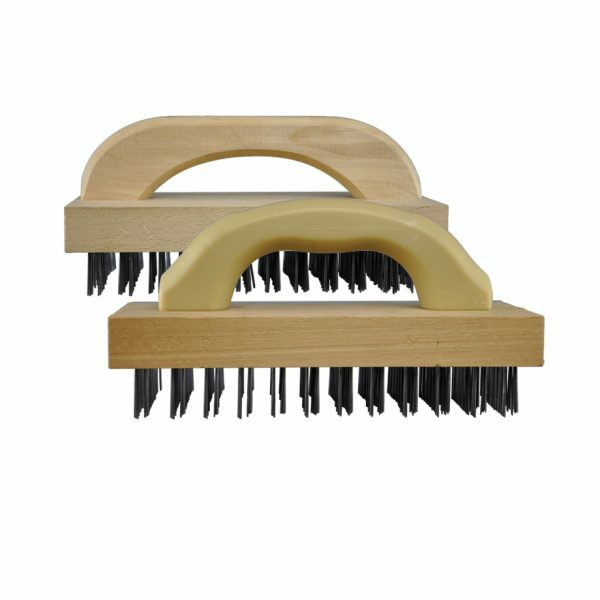 A variety of straight-back, carbon steel flat-wire scratch brushes, also known as butcher block brushes. 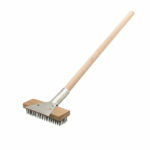 These heavy-duty food service brushes allow for extremely aggressive scraping of grill surfaces. 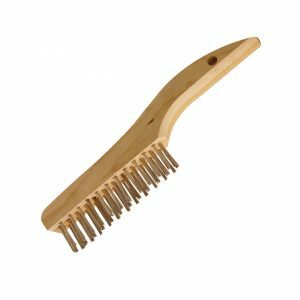 Coarse flat wires scrape away layers of food from butcher blocks or cutting boards. 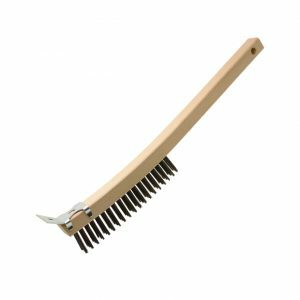 Available with and without sanded hardwood handles (wood or plastic) big and small blocks, and different trim heights for different levels of aggressive action and ergonomic cleaning. 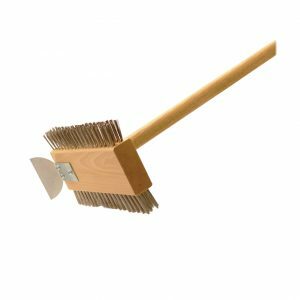 This 9” “D” handle butcher block scratch brush with wood handle with 8 x 12 flat carbon wires have been designed to scrape away layers of food from wood butcher blocks and wood cutting boards that can potentially contaminate other foods. 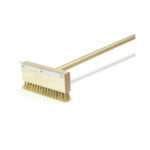 Great for removing heavy and tough baked-on foods on broiler or grills. 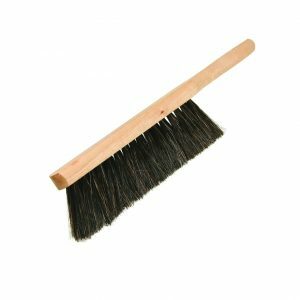 The sanded hardwood handle allows for better grip and for cleaning and heavy scrubbing. 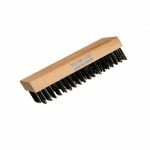 Made in Canada with North American drawn flat wire and Canadian hardwood.